Queen Victoria is now in her third location. A treaty that granted Britain the right to trade throughout Siam, and to establish consulates, was negotiated in 1855. It also provided for extra-territoriality, which placed British subjects under consular jurisdiction: consulate accommodation therefore needed to include consular courts, constables’ quarters and gaols. 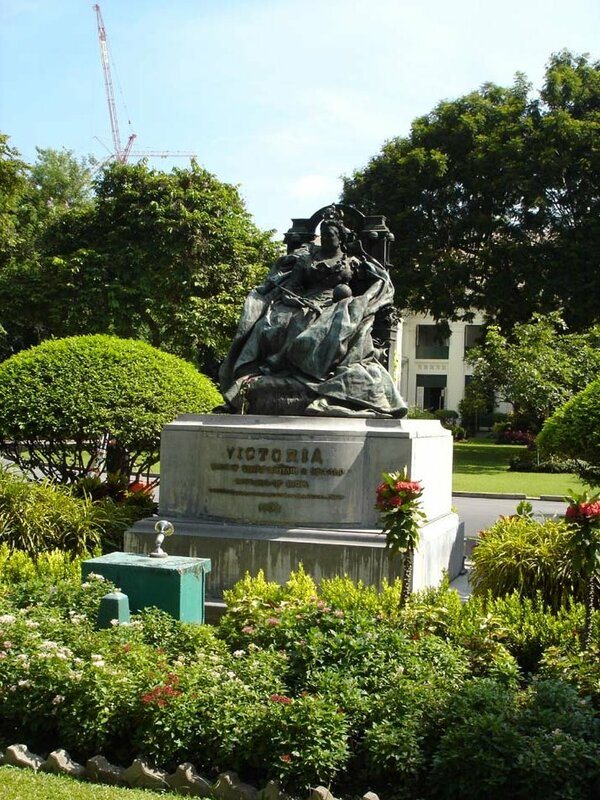 The first consul arrived in Bangkok in 1856. The first vice-consulate, at Chieng Mai, was established in 1882. The Siamese government, having found foreign consular courts irksome in Bangkok, was unwilling to see them in the north and instead established an International Court, applying Thai law, in Chieng Mai in 1886. Siam was first called Thailand in 1939 but the change was not fully accepted internationally until 1949. The consulate in Bangkok became an agency and consulate-general in 1875, a legation in 1885, and an embassy in 1947.